​You have to kill the ghosts in each arena of levels and do the best scores. You have to win money through the time for keep up your company alive ! Buy fournitures , buy stock or sell it ! 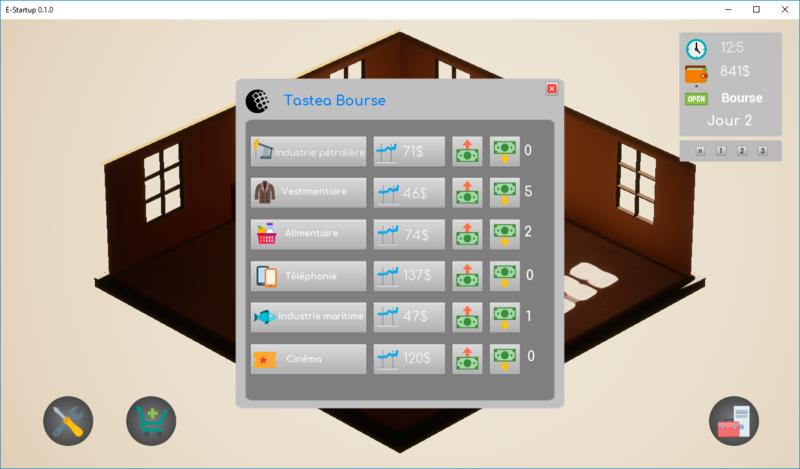 Tu dois gagner de l'argent à travers le temps pour maintenir ton entreprise en vie ! Achète des meubles, Achète des actions et revend les ! 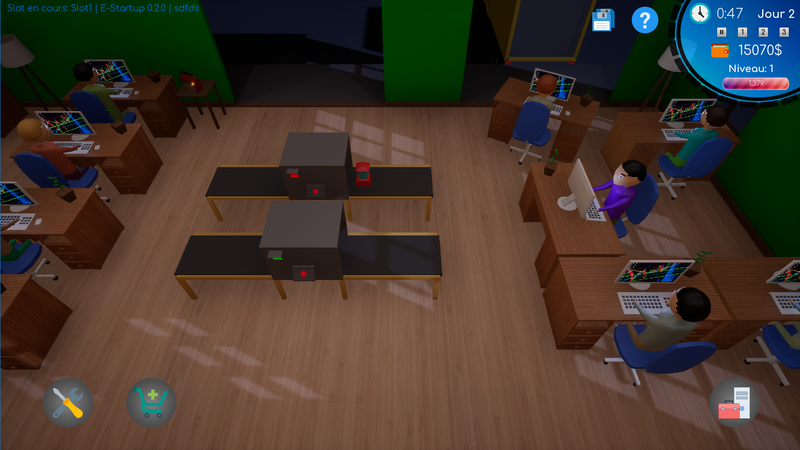 DevLog 0.1.6 : New Internet design | Create your own product ! 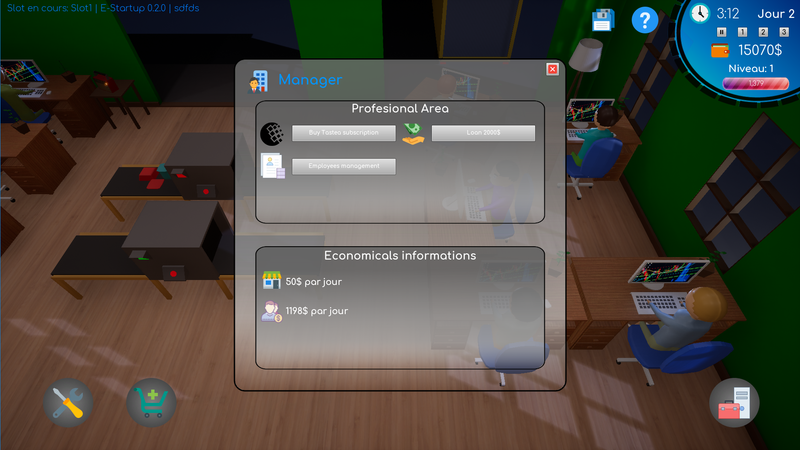 Hi, i'm a French beginner in video games and i created E-Startup, available in English and French.